ATTLEBORO, Mass. – Coming into Tuesday night’s game, unbeaten Attleboro was averaging more than 70 points per game, which was the highest scoring total of any basketball team in the Hockomock (male or female). Meanwhile, Mansfield was unbeaten on the back of a stingy defense that was allowing opponents only 40 points per game. It was a battle of contrasts and a battle of two teams that had developed a rivalry over the course of last year’s Kelley-Rex title race, which came down to the final night of the regular season. The intensity was high on and off the court on Tuesday and it felt like the playoffs not a game from the first half of the season. 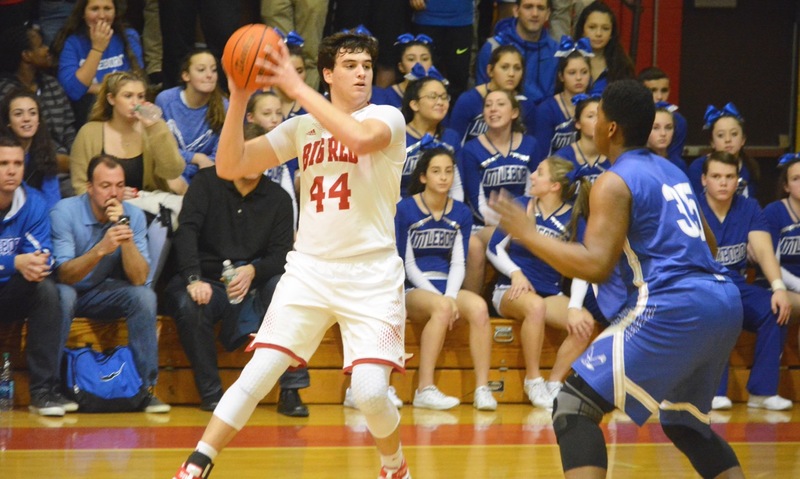 The Bombardiers will be thankful that there are still 11 league games left to play, including a rematch in the Albertini Gym on Feb. 6, because this night belonged to the Hornets. 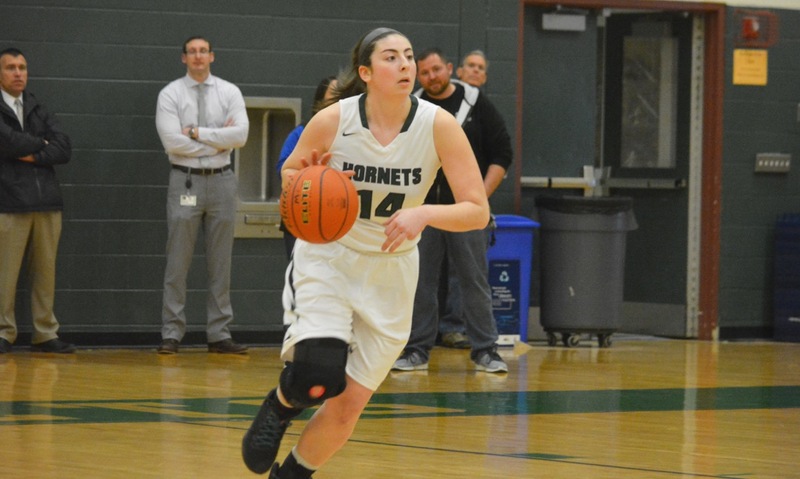 Behind 22 points and five steals from senior Jen Peel and a stifling defense that limited Attleboro to two made field goals in the first half, Mansfield rolled to a 61-30 victory that gives the Hornets an early edge in their quest to repeat as league champs. 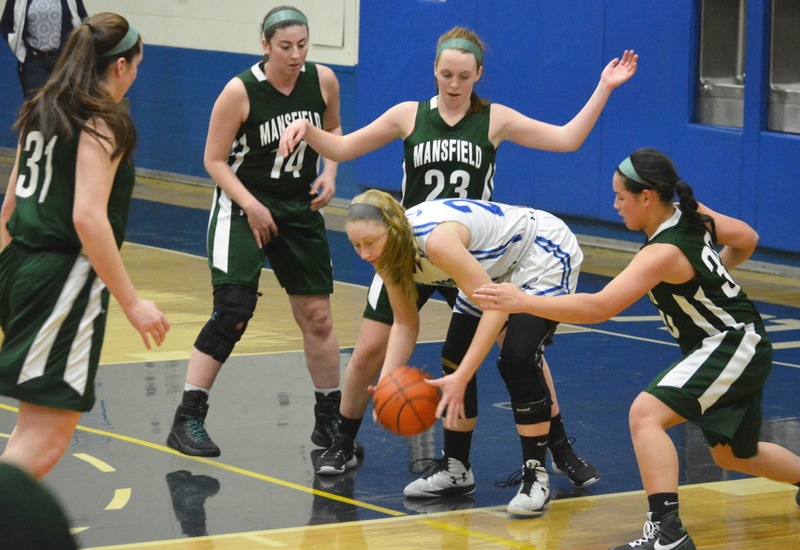 Sophomore Maggie Danehy got things started with a layup that was answered by a basket for Jordyn Lako (on an assist by Mish Logie), but then Mansfield took control with a 14-0 run. Peel knocked down a pair of threes, including one that caromed off the glass, and scored eight points in the first. Ann Maher (15 points) banked in the first of her five threes on the night and Mady Bendanillo (eight points, eight rebounds, five assists) buried one from the corner. Logie hit a three off a Sam Pierce assist to close the quarter but the Bombardiers found themselves in an 18-7 hole and with the ‘Big Three’ of Sarah Deyo, Julia Strachan, and Pierce held to only two free throws. The Hornets continued the defensive pressure in the second, holding Attleboro to six points (all from the free throw line). Mansfield went into halftime holding a 28-13 lead and the Bombardiers looked stunned. 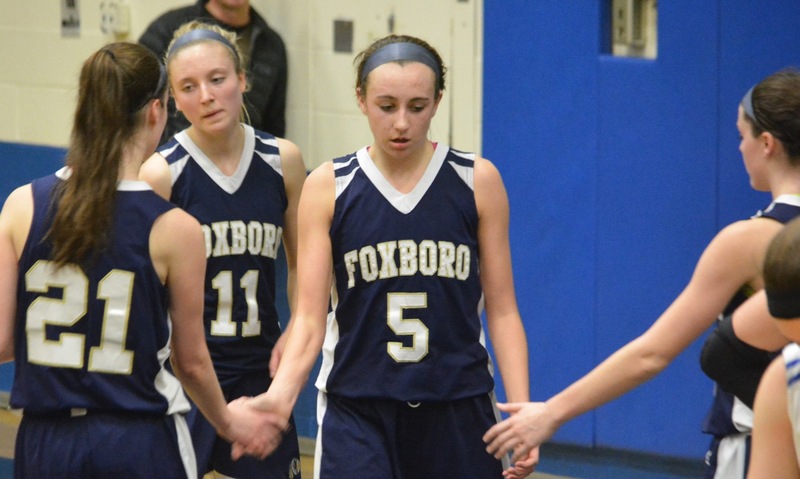 In Mansfield’s season opener, Maher (with help off the bench from Kara Bendanillo) held Foxboro star Ashley Sampson scoreless and on Tuesday she put in a similar effort on Strachan (seven points), who came in averaging more than 20 per game. 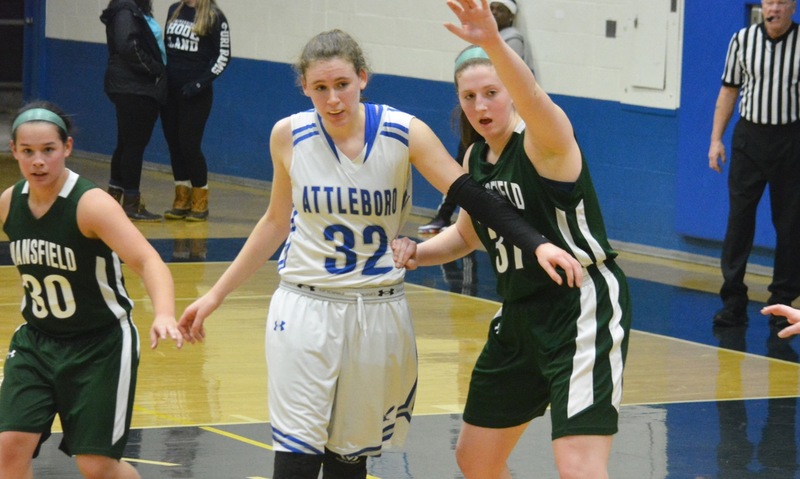 In the third quarter, Attleboro tried to make a concerted effort to get the ball to Deyo (12 points, 12 rebounds), who would score seven in the period but she was having a difficult time getting good looks in the paint against Meg Hill (six points, six rebounds, four blocks). Strachan scored five in the quarter, but the Bombardiers could not piece together the possessions it needed to make a run. Peel added six points in the third (four from the line), Maher knocked down another three, and Mady Bendanillo scored off a defensive rebound that she took the length of the court for a layup. 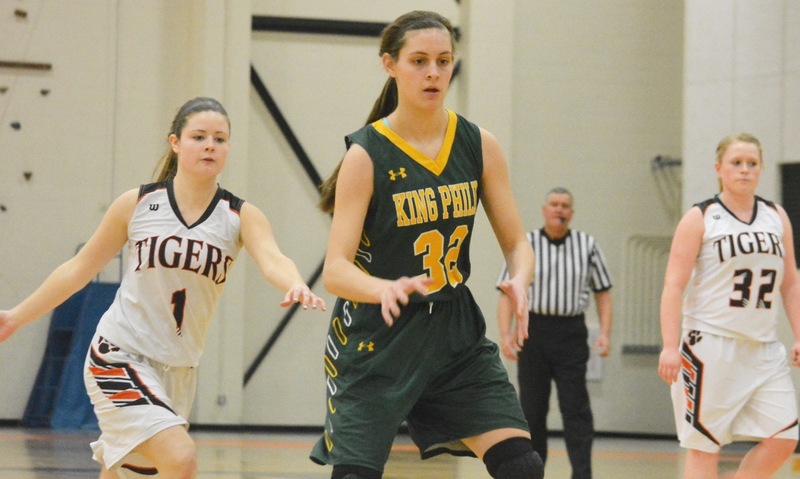 Mansfield won the third quarter, which Redding said was the focus coming out of halftime, and then put the game away with a 16-0 run to start the fourth with Peel and Maher each knocking down a pair of threes. Mansfield (7-1) will try to keep the momentum going on Friday when it travels to Franklin. Attleboro (8-1) will look to bounce back when it heads to Oliver Ames. SHARON, Mass. 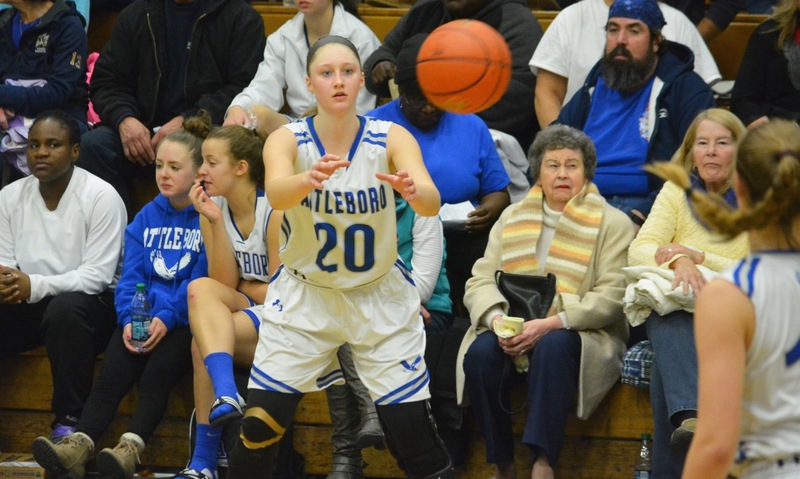 – Attleboro senior Sarah Deyo stepped to the line in the fourth quarter of Tuesday night’s game at Sharon needing just one point to reach 1,000 points for her career. Her friends and family, including her parents and her brother, were cheering in the stands just over her right shoulder while her teammates stood in anticipation on the bench to her left. Deyo took a breath and shot the front end of a one-and-one. That is when things got a little different. The shot missed short, but none of the rebounders had moved and the ball caromed directly back to Deyo. She grabbed it and looked down at the ball, seemingly in shock. Still, no one moved. It seemed like an eternity (but was most likely only a second) before Attleboro coach Rick Patch yelled at Deyo to shoot and the Southern New Hampshire-commit realized what was happening and drove to the basket for the milestone-achieving layup. Deyo finished the game with 28 points, leaving her at 1,002 for her career, and Julia Strachan added 30 points, on 10 made three-pointers, to lift the Bombardiers to a 92-55 victory. 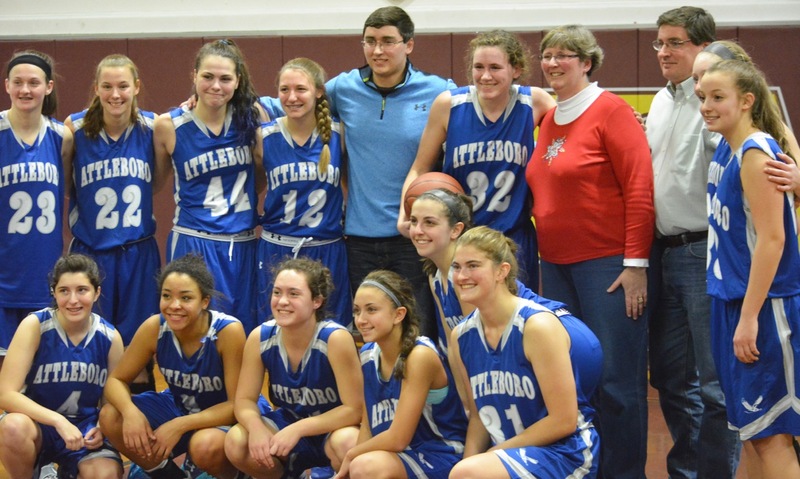 It was Attleboro’s third straight win by at least 30 points to start the season. The Bombardiers came in focused on getting the ball to Deyo and allowing her to make a run at the milestone and their press forced turnovers and led to easy baskets in transition. Sharon scored the opening basket on a layup by Emma Eberhardt (team-high 20 points), but Attleboro would go on a 21-2 run to break the game open early. Deyo scored eight in the quarter and Strachan knocked down a pair of threes. Jordyn Lako added four points, including a fast break layup off a Sam Pierce (nine points) steal. The Eagles tried to stay close when Kaitlyn Wallace (14 points) and Veronica Wallace(nine points) buried threes to end the quarter but the hosts trailed 23-10 after one. Sharon coach Cliff Tomassian said, “We talked about running our press break in our positions the way we were supposed to be and a couple of times we just didn’t have a girl in the middle where they’re most vulnerable. We got over half-court and the girls didn’t know what to do anymore. As a contest, the Bombardiers put the game out of reach in the second, outscoring Sharon 30-5. The Bombardiers hit seven shots from beyond the arc with Strachan hitting four, Lako (12 points) knocking down two and Deyo stepping back to make one as well. The hot shooting carried over to the third quarter with Strachan again showing off the range. The Adelphi-commit made three more from outside, two from the corner including one off a drive and kick by Deyo. With 10 threes on Tuesday, Strachan has already made 20 on the season and hit the 30-point mark in a game for the second time this year. The Eagles continued to play hard in the final quarter despite the big deficit. Shira Stoller (eight points, seven rebounds, and four assists) knocked down a pair of threes and Kaitlyn Wallace added a pair as well. Eberhardt led the way with 11 of her 20 points in the fourth. Last season, the Bombardiers had another player chasing 1,000 but Emily Houle did not close in on the milestone until the final few games of the regular season. This year, the Bombardiers will not have to worry about that and can now focus solely on their quest for a first Hockomock title. Attleboro (3-0) will step out of the league next week to play in the Cranston East (R.I.) tournament, with the first game against Cranston West (R.I.) on Tuesday. Sharon (2-2) has eight days off before hosting Holliston. ATTLEBORO, Mass. – Before Friday night’s game, last year’s league MVP Emily Houle was honored for reaching the 1,000-point plateau and had her name added to the gym’s banner. Once the game tipped off all eyes were a current MVP candidate as she went in search of the same milestone. While much of the focus from the fans, and from the Stoughton defense, was on Attleboro senior forward Sarah Deyo, who came into the game needing 36 points to reach 1,000 for her career, the Bombardiers showed that they have other weapons to give opponents problems. 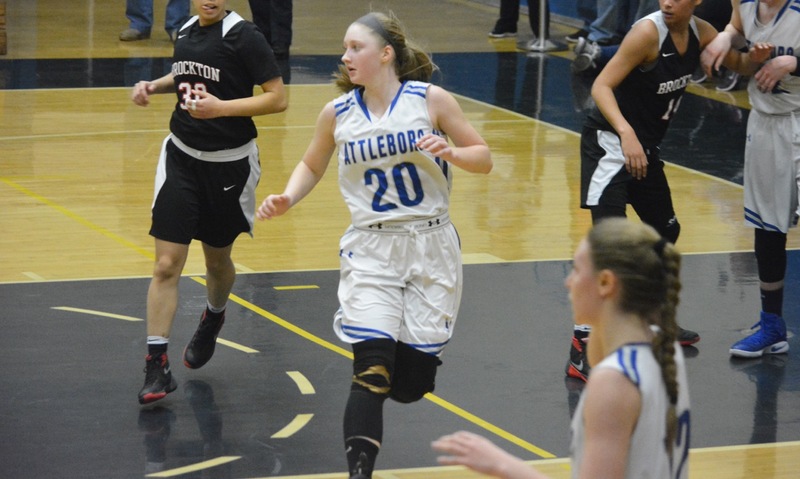 Led by a game-high 14 points from senior Julia Strachan, Attleboro had four players reach double digits and saw 10 players record at least a single point in an emphatic 65-35 victory over Stoughton. Deyo finished with 10 points and 20 rebounds on the night, leaving her 26 points short of the milestone. Stoughton jumped out to a 3-0 lead on early free throws and after a Jordan Motley layup led again at 5-3, but Attleboro took over and went on a 24-2 run to seemingly take control of the game. The Bombardiers knocked down four shots from beyond the arc in the opening quarter with Jordyn Lako (11 points and eight rebounds), Mish Logie (six points and six assists), Sam Pierce (11 points and six rebounds) and Strachan each knocking down one. The Attleboro run continued in the second with Lako scoring off a Logie assist then feeding freshman Nyah Thomas for a layup. A Deyo putback and another Strachan three had the Bombardiers ahead 27-7 and forced a Stoughton timeout. The Black Knights got themselves back into it after the breather. Motley (four points and 11 rebounds) got a putback basket and freshman Aliyah Wrightdrilled a three. Another three from senior Lili Njiem and a layup for freshman Shyanne Trinh (team-high 12 points) cut the lead to just 12. Deyo hit a corner three to stem the comeback, but the Black Knights were down just 13 heading into halftime. The Bombardiers heeded the coaching staff’s message and put the game away in a dominant third quarter. Attleboro outscored Stoughton 19-2 in the third, held the Black Knights without a point for the first 6:30 of the half and extended the lead to 30 points heading to the fourth. While the trapping defense of Attleboro certainly played its part against a very young Stoughton lineup that features three freshmen, four sophomores, and just two seniors, Steele Jordan also saw the Black Knights miss some looks that could have kept them in the game. 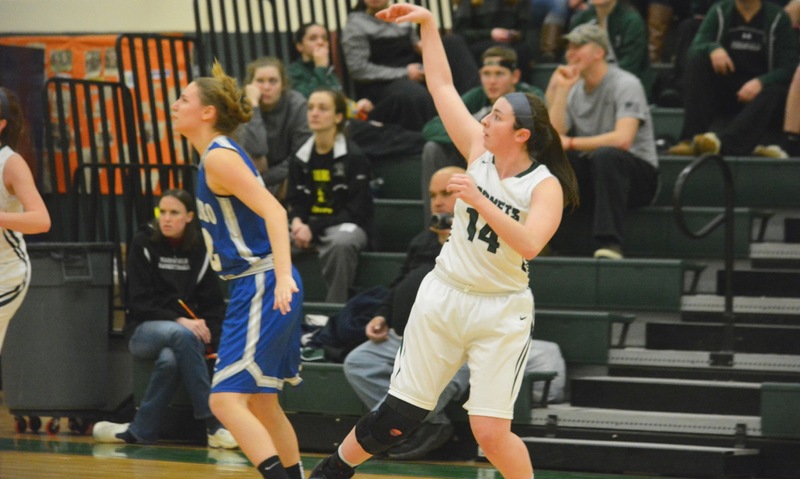 Deyo got another rebound and putback to start it and then Strachan, who transferred from North Attleboro last winter but injured her knee in the third game and missed the rest of the 2015-16 season, knocked down a jumper. 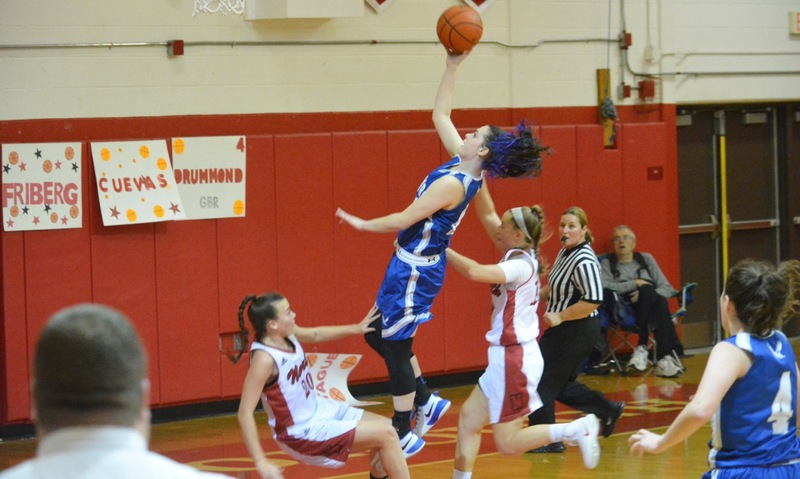 Pierce buried a three and freshman Liv McCall hit one as well to help Attleboro pull away. Lauren Berteletti had the lone bucket in the third for Stoughton. In the fourth, Attleboro continued to pile on, eventually getting the lead to as many as 36 points. One of the question marks for the Bombardiers coming into the season was who would run the point for them and Patch credited Logie for working hard to make that position hers. Stoughton’s biggest bright spot on Friday was the play of Trinh. Despite missing a large portion of the game due to foul trouble, she stepped up in the fourth quarter with seven of her 12 points, including a three and a runner in the lane. Steele Jordan admits it will be a steep learning curve for her young roster (especially with Oliver Ames and Attleboro as the opening two games) but she is still confident in the Black Knights’ potential. Attleboro (2-0) will travel to Sharon on Tuesday night, while Stoughton (0-2) continues its very difficult stretch by hosting Mansfield.